Members of Congress in both chambers today advanced proposals to head off a looming Highway Trust Fund (HTF) revenue shortfall that, if unaddressed, would force slowed reimbursements next month to state transportation departments for already underway federal-aid highway projects and a shutdown of all new highway and transit investment beginning October 1. The House Ways & Means Committee approved legislation, the “Highway and Transportation Funding Act of 2014,” that would generate $10.8 billion for the Highway Trust Fund to support maintaining current highway and public transportation levels through June 1, 2015. The measure also extends the trust fund’s expenditure authority until June 1, 2015. House Republicans claimed an extension of this duration is necessary to give them time to develop a long term surface transportation bill and to prevent a requirement for Congress to act on a long-term HTF plan during a post-election session. Ways and Means Committee Chairman Dave Camp (R-Mich.) said he intends to have a hearing on a long-term solution for the trust fund, but offered no time frame. House Speaker John Boehner (R-Ohio) said the House would take up the trust fund plan next week. On the other side of Capitol Hill, the Senate Finance Committee approved a plan from Chairman Ron Wyden (D-Ore.) and Committee Ranking Republican Orrin Hatch (R-Utah) that would also generate $10.8 billion in additional HTF revenues through a series of non-transportation related tax provisions. While, the Wyden-Hatch bill, “Preserving America’s Transit and Highway Act,” does not include an expiration date by which the funds must be spent, the amount of money generated would enable the trust fund to continue to operate at current levels through May of 2015. Also unlike the House plan, the Senate bill does not include an extension for the highway, transit and safety programs. As a result, the Finance Committee proposal shifts the duration issue to the Senate Environment & Public Works, Banking, and Commerce Committees which must produce legislation extending the surface transportation programs before they expire September 30. The differences between the House and Senate bills on duration and a short-term extension of the programs will need to be addressed as this process moves forward. 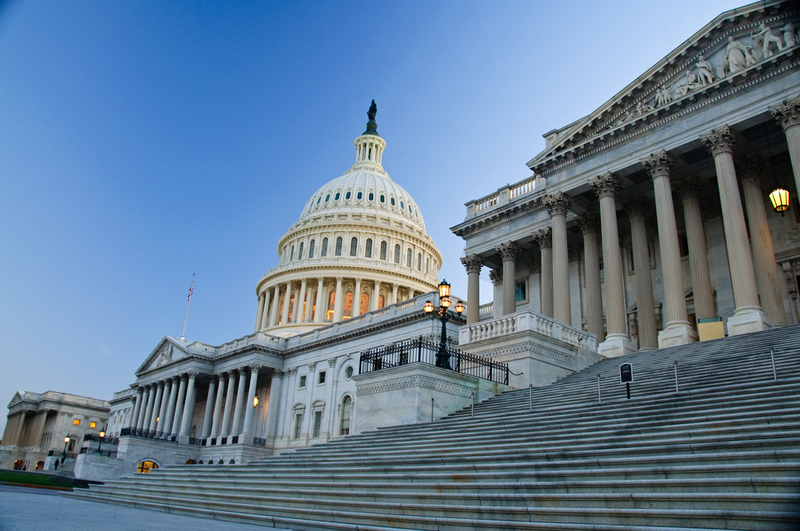 Amendments failed in both the House and Senate tax committees to reduce the duration and amount of resources generated by the measures to keep the trust fund operating at current levels through December 31. The stated intent of these proposals was to force Congress to act on a long-term trust fund solution after the November elections. While House Republicans said they did not want to “manufacture a crisis,” Finance Committee Chairman Wyden said such a proposal would jeopardize bipartisan support for the Senate measure and that it was his intent to work to develop a long-term plan before the end of the year.